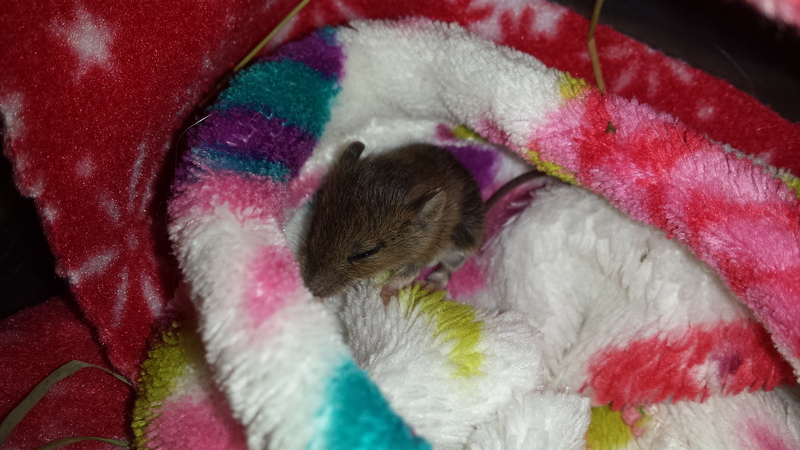 Sorry if this is in the wrong place but a neighbour's cat found a baby field mouse and the cat's owner then brought the tiny thing to us. It's in a tupperware box on a heatpad covered with fleece and I have figured out how to get diluted kitten milk into its mouth (finally) but I don't know how to make it toilet. I know you're supposed to rub their hind ends but ...? 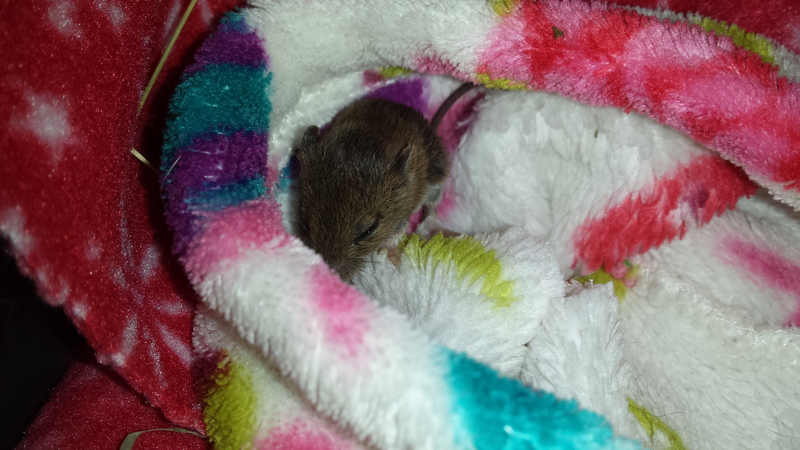 According to the fun mouse you can use warm wet cotton bud thing, I tried with a damp tissue but with no results. Also anyone have any idea how old it might be? (see thumb photo for size reference.) I guessed maybe 3 weeks but really don't have any real idea whatsoever! I also read that hand reared animals can't be released into the wild, is that true....? Never mind, think it must have had internal injuries because it started bleeding from its nose and mouth then crawled under the fleece and passed away. Run free little one. Think he was only just over two weeks old as well. Sad news, you tried your best but it wasn't to be. If you have to toilet any baby animals again, imagine you're their mum giving them a wash. Obviously you don't want to use your own tongue (lol) so use a tissue that you've dipped in warm water and gently wipe the animal's belly right down to its rear end a number of times. If it needs to go to the toilet, it will! 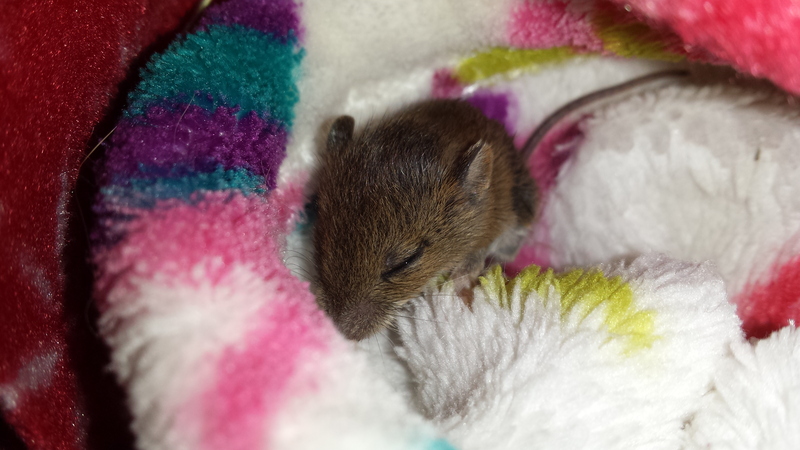 Once you've hand reared a wild animal it would usually be too accustomed to people and wouldn't have the necessary survival instinct to cope in the wild, although you might be able to gradually get it used to living wild again by doing a "soft release". Ah sorry he didn't make it. Aaw that's sad that he didn't make it. 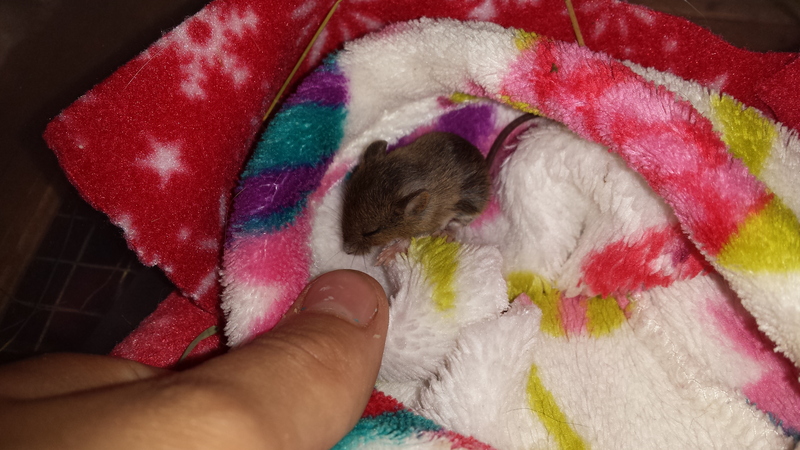 Sweet little thing though, I've always liked field mice.